WARSAW — Kosciusko County Circuit Court Judge Michael Reed shook his head from side to side on Thursday, Jan. 17 prior to issuing a sentence for drug charges. “I think the court’s hands are basically tied in this one,” Reed said. Brian Roy Bradberry, 19, 29 EMS T9 Lane, Leesburg, pleaded guilty on Dec. 13, 2018, in two separate cases to two counts of dealing methamphetamine, both level 3 felonies and dealing marijuana, a level 6 felony. Bradberry appeared in handcuffs before Reed for sentencing and all parties, including Bradberry’s defense attorney John Barrett, knew the defendant was looking at jail time due to the nature of his accused crimes. Barrett told Reed that when offenders are accused of the types of crimes Bradberry faced, they almost always make statements of regret. “In Mr. Bradberry’s case, however, I do find him to be truly remorseful,” Barrett said. 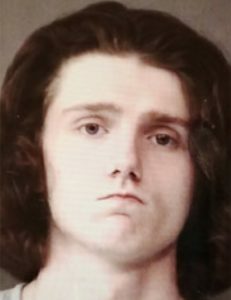 According to the Warsaw Police Department, Bradberry was observed selling 9.8 grams and 11.3 grams of methamphetamine on two separate occasions in March of 2018. When officers arrived at a residence in May 2018, to serve warrants for the methamphetamine charges, officers reported finding a plastic bag that contained numerous smaller bags of marijuana. Police also reported finding THC cartridges for a vape pen and a bag full of a crystal substance, which officers said tested positive as methamphetamine. It was, according to court statements, the amount of methamphetamine sold by Bradberry, that brought with it a harsher sentence. “At 19, we all at some point will receive Mr. Bradberry back in society, hopefully as a better person than when he went in,” said Barrett. Reed sentenced Bradberry to six years for each of the methamphetamine charges and one year for selling marijuana. Each jail term will be served with the Indiana Department of Corrections. Bradberry also received 200 days of credit for time served and was ordered to enter the Recovery While Incarcerated program. Reed told Bradberry that if he completes the program, the judge will take a second look at the case and consider sentence modification.